This weeks anime is going to be a weekly post that I will start covering what anime I watched that week. For the most part it will be one anime series a week unless I feel the need to post more than one. Seeing as I watch anime everyday I thought it would be a good idea to share what I watched that week and give brief thoughts on it. 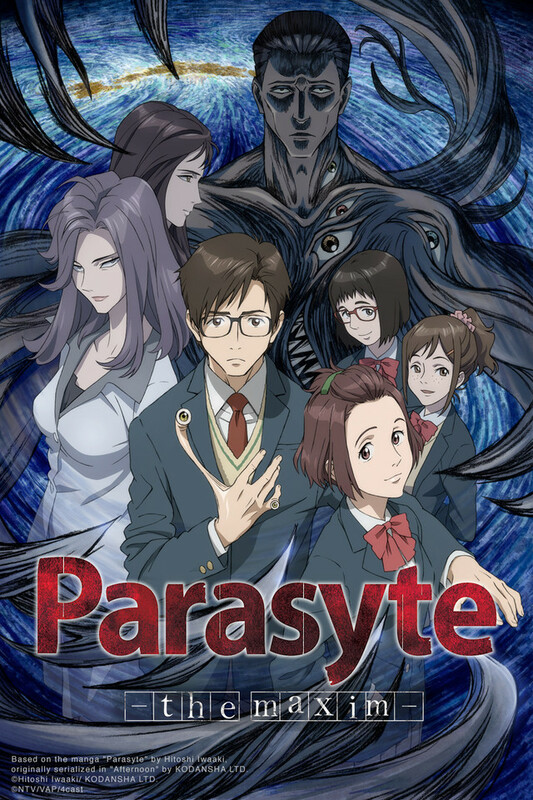 This weeks anime is Parasyte The Maxim. 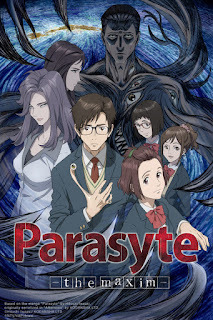 This is one of those anime that I come across where I really didnt think I would like but because I had nothing else to watch at the time I decided to give it a try. 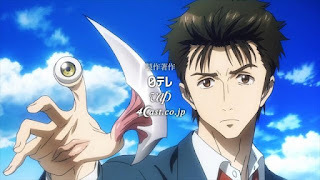 What threw me off was the fact I looked at a picture and it was a dude with a mutated hand with eyeballs. Just seemed like a weird anime to watch. So as always I at least give any potential show at the very least 2 episodes to win me over. The very first scene (spoiler maybe idk) there was a man and woman standing then all of a sudden the man's head just transformed into this crazy resident evil like creature and ate the woman. So Yea totally the opposite of what I thought this was going to be about. So basically these creatures come and they are supposed to infiltrate the hosts brain and take over. This one failed and only was able to take over the main characters right arm. So the first few episodes are them building this weird relationship and encountering other creatures that actually took over the hosts body. It starts off as a relationship out of necessity to survive on both parts as they encounter the creatures and other humans but later formulates into a interesting philosophy questions what is a human being? What is good or bad when it comes to survival. As the show goes on these questions get more and more complex as the lines become blurred. 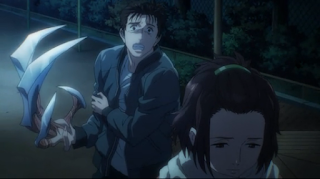 So if your into sci-fi action drama type anime then this one is sure to be one that you will want to see. Every episode actually leaves you wanting more to see what's going to happen next. My only complaint would be the way they did the last episode if it truly is the last then idk how I feel about it. If there is going to be another season then I can live with the ending. But besides that it still was a great anime that surprised me and was entertaining to watch. Be sure to click on the anime tab above or HERE for more weekly recommended anime.